Aiven services are managed from Aiven web console. First login to the console with your email address and password and you will be automatically taken to the "Services" view that shows all the services of the currently selected project. Projects allow organizing groups of services under different topics and each project can for example have different billing settings. An empty project is created for you automatically when you sign-up and the free credits are attached to this project. You can create new projects by clicking the project name in the left side-bar and selecting "Create a new project". The same menu can also be used to switch between projects. 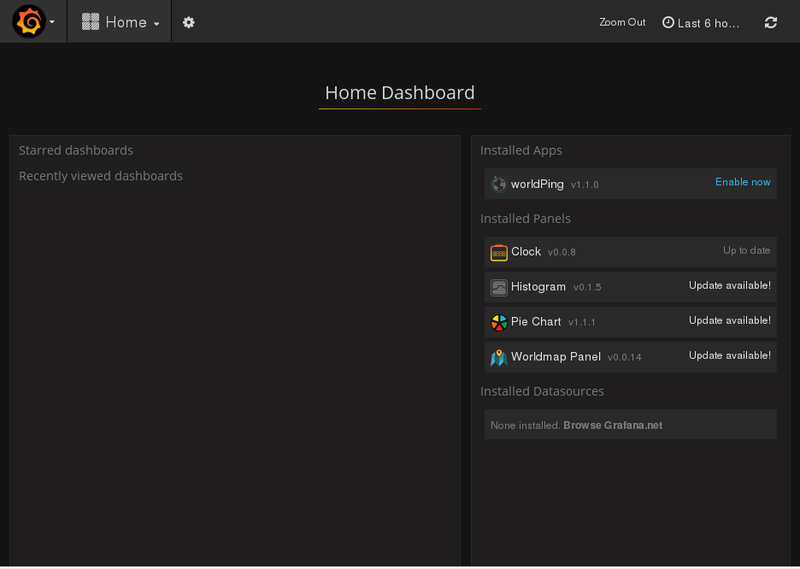 To get started with Grafana, first click the "Create a new service" button. Service name: A short name for the service used to distinguish it from other services. A random name is provided, but you can type in a more friendly name. Plan: How many servers and what kind of memory/CPU/disk resources will be allocated to run your service. Cloud: Which cloud and region to run the service on. Note that the pricing of the same service may differ between cloud providers and their regions. After making the selections, click the "Create" button and you will be taken back to the service list view and the newly created service is shown with an indicator that it is being created. Click the service name in the list and the "Overview" information page for the service opens. This view shows the connection parameters for your service, its current status and allows making changes to the service. The "Status" indicator will say "REBUILDING" while the service is being created for you. Once the service is up and running, the light will change to green and it will say "RUNNING". Note that while typically services start in a couple of minutes, the performance between clouds varies and it can take longer under some circumstances. On larger plan types you get more resources available on the Grafana server and the ability to have a certificate on the server that's signed by a CA, removing the need to specifically accept the certificate. This allows among other things creation of easily shareable Grafana links. 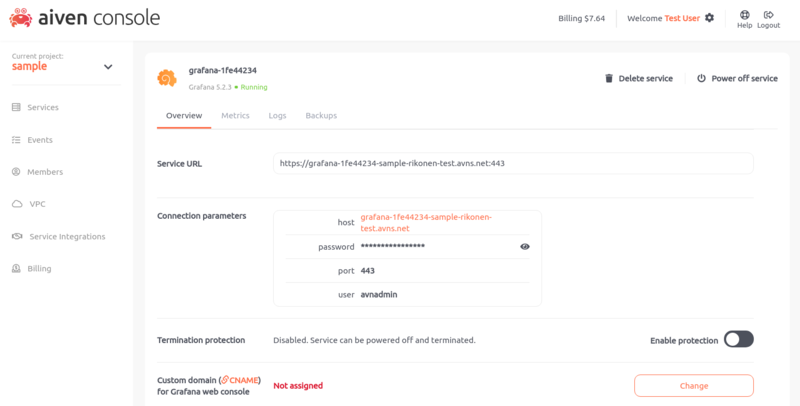 You can log into your Aiven Grafana service by clicking the link next to "host" row or copying and pasting the Service URI to your browser. To login you need to check your account credentials from connection parameters on the overview page of the service. 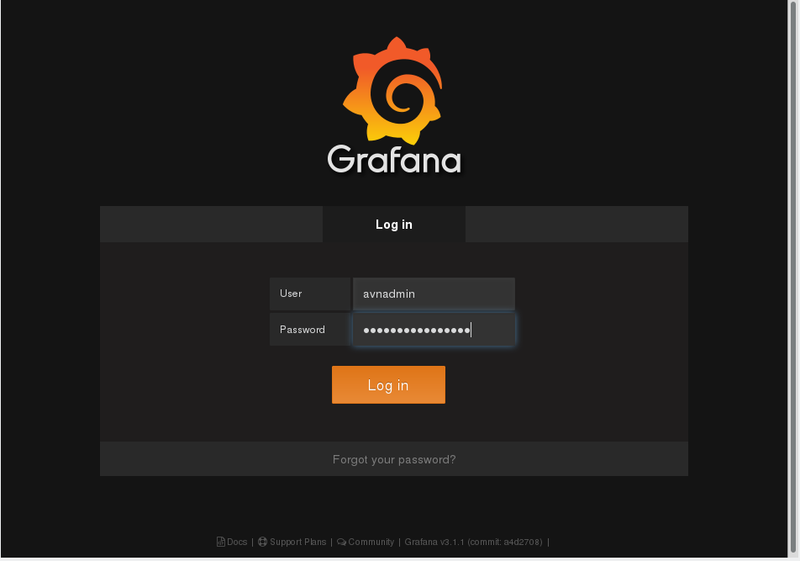 And once you login you can see the Grafana welcome page. If you have any questions about the process we'd be happy to help you get started. If you have InfluxDB or Elasticsearch services in the same Aiven project, they will be automatically configured as data sources and you can easily start graphing the data from them. Note that data sources beginning with the string aiven- are default datasource names that Aiven will overwrite, you should create your own data sources using a different name prefix.